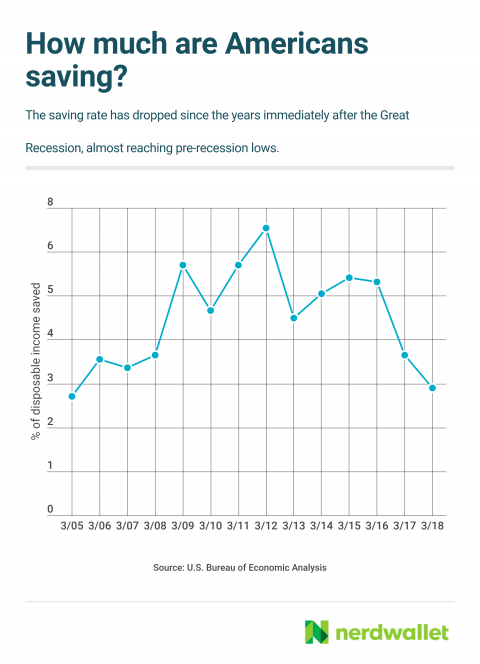 But there are ways to recession-proof your finances — and these same steps make it easier to weather personal money difficulties, too. You can also build your savings account without rejiggering your budget. How? Move the bulk of your balance to a high-yield account. Online banks, such as Ally or Capital One 360, often pay much higher rates on savings than national brick-and-mortar chains, such as Chase. There might not seem to be much difference between 0.01% and 1.50% APY, for instance, but it means $150 more per year on a $10,000 balance. First things first: “Consider that you’re now almost 10 years older than [during] the last recession. Are you comfortable with the level of risk that you’re taking?” Nehring says. The closer you are to retirement, the more of your portfolio you’ll want in fixed-income investments, dividend-paying stocks or cash, he adds. This is probably starting to sound familiar, but having a plan for your debt — and a date you’ll be free of it — is the first step to eliminating it, according to Thomas Nitzsche, a credit educator at credit counseling agency Money Management International. “Take inventory, set a date, commit,” Nitzsche says. “Just be done with it.” He recommends meeting with a credit counselor if it will help keep you motivated. 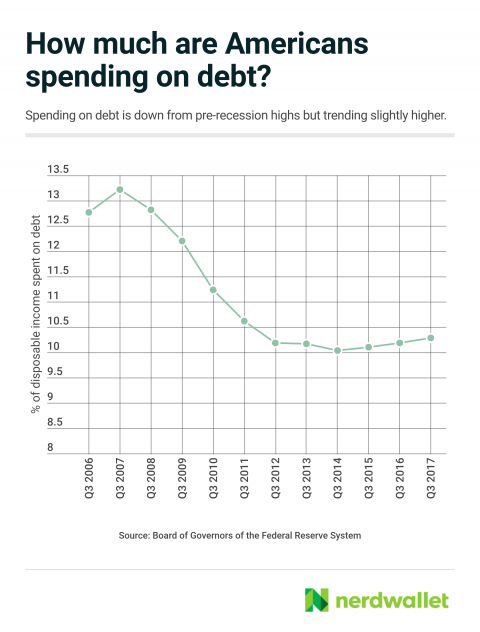 Any balances you can pay off now won’t be a factor during a recession, when you might have less money to pay toward them. You can also gain financial flexibility by trading in your car — or even your home — for a cheaper one. Nitzsche did both after the last recession, when he was laid off from a job in financial services and began working at a nonprofit. The idea, he says, is living below your means, “really getting yourself to a point where you feel like you could do anything,” whether that’s taking a pay cut for a job you love now or facing a market downturn. No matter how much you like your job or how stable it seems, it’s smart to have your resume ready. California’s Employment Development Department recommends posting it to LinkedIn and other job search sites. Make sure it’s up to date, and consider soliciting a few recommendations from coworkers and supervisors to support your materials. If you have the time or desire to go a step further, pursue additional training or certifications in your field or another that interests you. This might help you hang onto your job in the event of layoffs or land a new one if you do get cut.